The exact usage policy might differ from one organisation to the other, but the generally the organisation fixes a minimum period, after which these stocks can be liquidated at Market price. 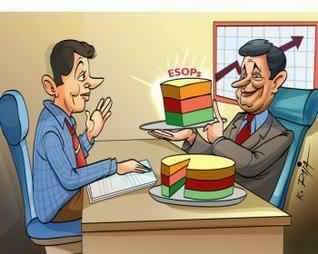 Nowadays, most companies offer ESOPs to their employees. The employees feel that they are more closely linked to the company. The company’s stock performance becomes important for them personally. Hence, this is a great way to connect the company and the individual employee. It is generally also awarded as a reward for good work by the employee. It also acts as a retention tool, as the employee having ESOPs would be enticed to stay longer if he is expecting good returns on his shares after some time.